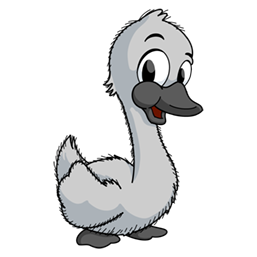 Hi there little swimmer my name is Sidney the Cygnet (that's a baby swan if you didn't know) and it's lovely to meet you. Did you have fun with my friend Dillon in Level 1? I do hope so and I hope you have been practising so we can really get going with a splash this term. Don't be nervous though, like you I am only young so won't take things too fast for us to learn together. In this level, many new and exciting skills are introduced, as the teacher builds upon the introductory experience of Level 1 babies. For instance the volunteer swim where baby learns to take a breath before swimming. 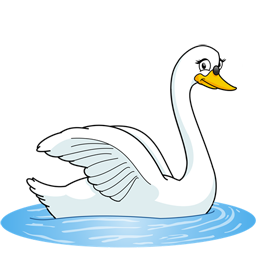 Baby gradually becomes more comfortable with single handed swims and swims more frequently than in the introductory level. Back floats are introduced which are very relaxing and fun, and also of great importance for future levels, eventually leading into early back stroke. New Water safety skills such as Swim & Hold on that encourages baby to hold on to somebody or something upon surfacing from a swim are also practiced. Well hello little one, I am Sidney's Mum, Sandy the Swan and I am so very pleased you are joining me this term. Sidney tells me you love your swimming just like him so I know you shall really enjoy what's in store for Level 3 and your Mummy & Daddy will be amazed by what you can achieve already. Several new and rewarding skills are introduced at this level. This is where we start introducing the concept of establishing a basic swimming rhythm and a breathing pattern at the same time. Learning is further developed, as you and your baby are introduced to water safety skills that are invaluable to learn and built upon in higher swim levels. Even at this young age, most babies start to develop their very first basic arm stroke. Babies are now ready to enjoy a little more boisterous exercise, and the babies will learn to swim just a little further, aided by your slip stream as you both move through the water. Level 3, is a key level where the benefit of the previous levels starts to prepare our Aquatots for new swims in level 4 and beyond. 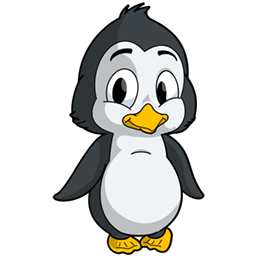 Hi there, my name is Pepper and I am a penguin. 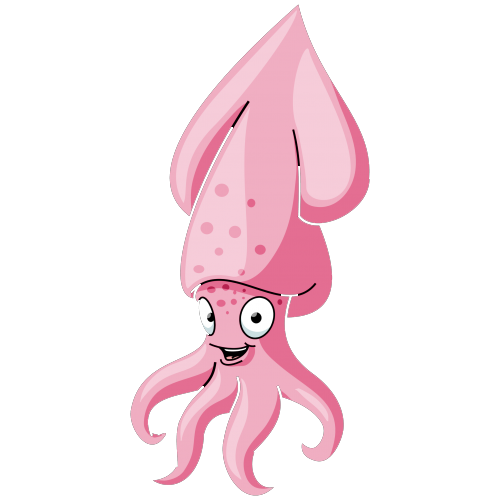 I shall be your Aquatots pal for Level 4 and I am so excited about what we shall get up to together this term. Penguins have so much fun and always make people laugh. I just know that you, Mummy & Daddy will be doing a lots of laughing this term as we learn lots more important swimming skills in a fun way together. In level 4 we introduce new water entry skills as by now your baby is likely to be more confident and very eager to get into the water and it therefore becomes even more important for us to focus on safety and additional life saving skills to assist them. As always this is all carried out with a fun element too so that every valuable skill learnt is done so in an enjoyable and fun environment to keep our young ones stimulated and happy as they no doubt start to become more wilful as they develop and grow. Our swim stroke is further perfected in this level too with more shallow swims and developing our orientation and directional skills under the water. Level 4 is often a milestone time for parents as your children make far more voluntary and independent moves in the water demonstrating how confident they have become and how much they have already learnt and can do with minimal assistance. 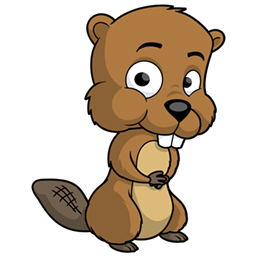 Hi there, my name is Barney and I am a Beaver. I shall be your Aquatots pal for Level 5 and my goodness, have I got a lot to show you. We Beavers know how to have fun. We are going to show you how to start picking up toys under water? Sound like fun to you? Even more new and exciting skills are introduced at this level. For example, Diving for Toys in shallow water. New swimming skills are developed further to encourage independent early swimming rhythm and breathing pattern at the same time. This level is a time for Mummy & Daddy to really start "letting go". You have helped your child learn so many valuable skills so far and you have guided them perfectly in the water. This term we give our little ones that extra independence by letting go of them in the water more often and just giving that guidance when required. Such a proud experience for Mum & Dad watching as your child moves independently and purposefully for short periods in the water. Hi there, my name is Oscar and I am a Sea Otter. Wow! aren't you growing up fast now and it's not long till you will be off to Toddler levels so I better start helping you prepare. In this Level, we concentrate upon encouraging our little swimmers to extend their swimming both on top of and under the water. Swimming strokes are a focus, preparing children for entry into level 7 and their final baby level. Water Safety Skills learned in the previous levels are added to also. We have some great fun with more boisterous volunteer swims with exciting lifts into the water plus what soon becomes most children's favourite activity, jumping in and learning to do this in a safe and controlled manner!!! 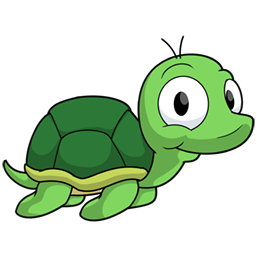 Hi there, my name is Toby and I am a Turtle. Can you believe this is going to be your very last Baby Level and next term you shall join the Toddler Levels?? 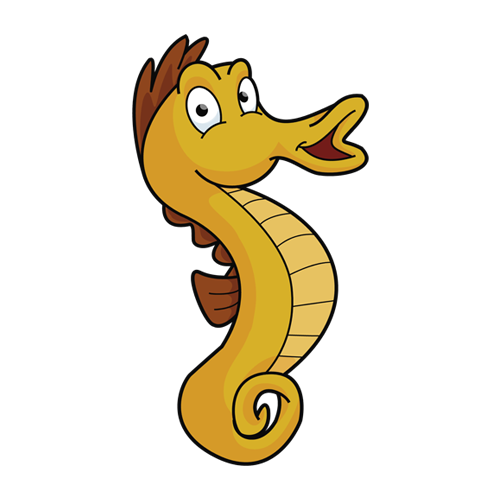 You have learnt so much already and are so very nearly ready for Toddlers but there are a few bits I need to teach you before you meet my friend Cracker and join the big kids where you can start working towards that first exciting 5 metre independent swim!! And if you behave yourself I may even let you have a go at one of my most favourite playtime activities too!! Congratulations ! Your child is now growing and becoming more physically able to achieve the more complicated baby level swims and master water safety skills that require more co-ordination. It's a wonderful time for parents to appreciate exactly what your child has achieved so far and just how independent they can be in the water now. This term we shall bring some of our early baby skills to their final and most exciting stages such as our Volunteer swims (from standing now!!) , underwater Piggybacks and to probably the very most exciting playtime activity, Running on the raft!! Your only struggle will be convincing your children to leave the pool after they have had a go at that!! *Please note, we prefer your baby to be nearly 2 years old to enter Level 8, as they need a certain degree of natural co-ordination, muscle strength and discipline to learn the new and more demanding skills introduced in the toddler levels. Your class teacher will guide you and provide feedback regarding preparation and readiness for your next step. 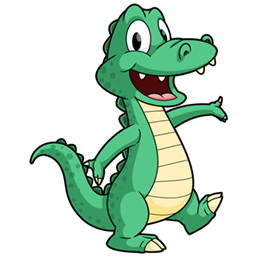 Hi my name is Cracker the Crocodile. My friends tell me that you have worked really hard throughout all your baby levels and are ready and excited to start your Toddler skills. No more baby stuff for you now you are all grown up and over 2 years of age! As a Toddler I am told you need keeping in line now and again so that's what I am here for! After all nobody messes with a crocodile!! Don't worry though it's not all hard work, us crocodiles know how to have fun too!! Your toddler is now starting to become more physically able to do more complicated swims and skills with more co-ordination (that’s if they want to, of course!). In this Level, we introduce several new variations of Swim, Breathe, Swim and encourage your toddler to work towards lifting up their head out of the water to breathe, by themselves. We also try to build confidence by encouraging them to hold onto you rather than you holding them and letting go in-between their swims. For the more adventurous parents, we would encourage you to swim underwater together with your toddler participating in various skills, i.e. diving for toys under together. If you do not like to go under the water of course you do not have to but it is usually great fun! 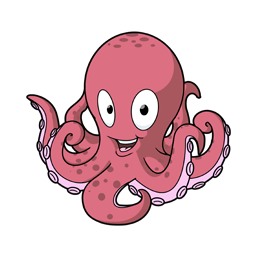 Hi my name is Otto the Octopus and I am very pleased to meet you. 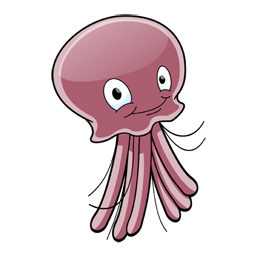 A bit like you I enjoy swimming in warmer water and use my legs to help propel me through the water. We are going to have such fun together this term so let me tell you a little bit more. By now, your toddler should be very happy and confident in the water, loving to ‘dive’ for the sinker toys and jumping ‘high in the sky’. They will do this in conjunction with ‘up and breathe’ exercises giving them energy saving and safety techniques and will continue to grow in stamina, skill and independence. By the end of this term, some toddlers may be able to lift their heads above water and to breathe which is such a fantastic achievement! 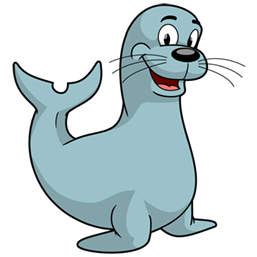 Hi my name is Sparky the Seal and I have been hearing so much about you. Cracker tells me you have been working hard and also being very good in lessons obeying Cracker's rules. 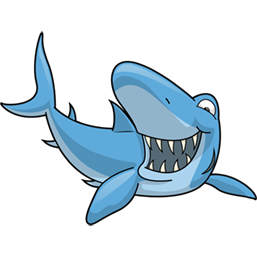 It's a very exciting time in my Level as I am such a great swimmer and can really start to show you how to move as quickly as I do in the water. Also Seals love to play so be prepared for lots of fun and frolics with your Teacher this term. We ideally like your toddler to be over 2 1/2 years old by the time they start this level so they are more physically able to do more complicated swims and skills, which demand more co- ordination. In this Level, we introduce new variations of Swim, Breathe, Swim (S.B.S.) with the ‘forwards head tilt and chin lift’ as the neck muscles are now more developed. This skill encourages your toddler to lift his/her head up and out of the water to breathe, by him/herself. We also introduce skills, which encourage independence like ‘swim triangles’ and ‘kicking on a float’ unaided. A lot often depends on your toddler’s mood and willingness to participate but we do our best to encourage and make it fun! 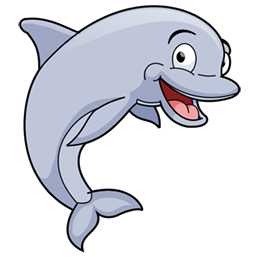 Hi my name is Dipper the Dolphin and I love to play. Now I know you will have been having fun with Manny but this term it will be even more exciting. Dolphins make everyone smile and I just know you are going to be doing a lot of smiling this term with all I have in store for you. Are you ready to use a snorkel and breathe underwater? As well as that we are going to have fun with ‘Pencil and Tuck’ jumps and see the world upside down when we do a handstand! We have a lot of new exciting skills to show you this term where stroke work is developed and we learn breaststroke arms and legs together and a brief introduction to sideways breathing in front crawl. We have more fun based skills, for example Somersaults (backwards this time) great for breathing control, handstands and ‘Pencil & Tuck jumps that are fabulous confidence building exercises. On our Snorkeling and under water scooter day we will concentrate on streamlining as well as introducing your child to snorkels so that they can ‘breathe’ underwater! At the end of Level 17, we aim for everyone to swim 20 metres, some can do 25 metres or even 50 metres. 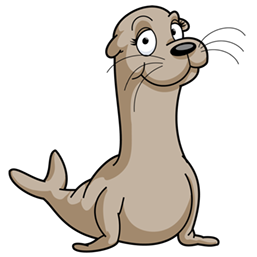 Hi my name is Sally the Sea Lion and I am a marine animal that loves diving and finding food! Now you have started the child levels I have loads of fun skills to show you, which will help you become a super fast swimmer like me! Get ready to swim even further with breaststroke and front crawl arms and zoom through the water when we wear our Finns and face mask for the first time! Well done to your little one for achieving their 5 metres and progressing up to the child levels! In this level we introduce breaststroke arms and we start work on the straight-arm and leg action of front crawl. By the end of this term, many in this level will be able to swim 10 or even 15 metres on their front and/or back and twice a term we will be teaching your child to use Finns and a facemask which is fabulous fun! Children love snorkeling-it is a great activity to build muscle and improve streamlining as well as good practice for a great holiday activity! Snorkeling sets will be provided in class, however, for hygiene reasons and to ensure your child’s comfort we advise you invest in your own snorkeling set. Your teacher will be a happy to advise you on snorkel sets, wetsuits or swim hats if they are needed at your pool! 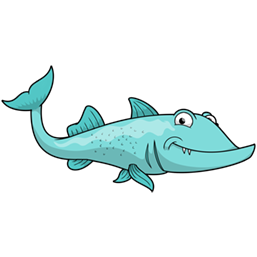 Hi my name is Nelly the Narwhal and I am a very friendly whale who loves travelling in a group of other whales! 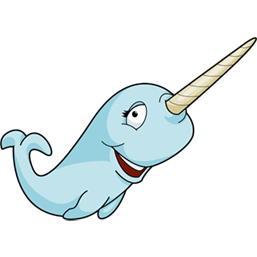 I am known as the unicorn of the sea as I have a large tusk in the front of my head that makes me extra special. We are going to have so much fun this term! Like me you are going to learn how to do whale blows out of our snorkels on snorkelling day, develop our stroke work-not to mention the fun we will have on our self-rescue day! Like my friends that have taught you previously, unfortunately I am too big to come in the pool but I will be watching you and know you will have a great term! We are very pleased to be able to offer even more great skills this term. We will focus further on front crawl sideways breathing in order to streamline the stroke and introduce the ’T’ float and sculling which are both great fun as the children practice buoyancy, breathing control and balance. 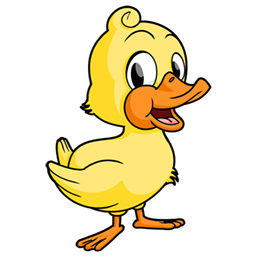 Your child will also have the opportunity to practice their Cack crawl swimming with little finger first entry and Butterfly legs through hoops with duck diving to touch the floor! Our Self Rescue day will include ‘goggles off’ entries to aid your child’s confidence and orientation and the use of throw ropes and sculling. We still emphasis that children are never to attempt to save someone without adults help and remind them to SHOUT FOR HELP—TROUBLE IN THE WATER which they always enjoy! On our snorkel days your child will develop their airway control and have their first go at clearing a snorkel of water using a ‘Whale blow’. Aquatots are very pleased to be able to offer even more exciting and great skills. We are really encouraging the team work aspect of swimming not only through the snorkeling & rescue skills but also with the new 'Big Star' star float, this will be a challenge for most but brilliant fun as children practice buoyancy, breathing control and balance. We also aim for the children to try and improve their front crawl with sideways breathing whilst keeping streamlined in the water. They will then also be able to practice more and develop their back crawl swims with little finger first entry. Hi my name is Stanley and I am very pleased to meet you! 13 may me unlucky for some but not with your swimming and me. I am sure 13 is going to prove very lucky and you will achieve some great swims this term! 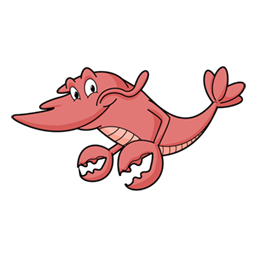 I am known to be one of the fastest swimmers in the sea and have won many competitions. Who knows… by the end of the term you may achieve a badge and certificate just like me! One things for sure we will have lots of fun trying! By the end of this term, we we aim for your child to swim a distance of 5 meters independently, in preparation for the start of the Child Levels 15 -29. These levels are about your little ones becoming refined, safe and strong swimmers, so it is important they have the stamina and confidence to travel across a 5 meter distance, confidently lifting their head up. Your child will enjoy learning new skills to make it easier to swim without your help, getting their head out of the water to breathe independently. These include several new techniques and variations of S.B.S. across the pool with you assisting in different ways. We will also do lots of ‘Push & Glide’ skills from the side, as these are very important for your child to understand and feel what streamlining is. Good body position in the water is one of the essential building blocks of all swimming and stroke work to come later on. On week 7 in this level will you will be given the chance to have an underwater photograph. This is a fantastic opportunity to have a photo of your little one as they complete their journey in the Toddlers levels and become ready progress on to the equally impressive and progressive Child levels! Hi my name is Florrie. Are you ready for that first 5 metres swim now? I am going to help you get there and we shall take it slow and steady to make sure that all-important swim is a great one! I am fantastic at flying through the water so I’ll be able to help you jump in and make a big splash with all the fun skills we have to come this term! At this level, we encourage your child to develop more basic stroke techniques and become more independent in the water. By the end of Level 12, the aim is that all of them can swim 5 metres on their back and are getting that bit closer to achieving the same on their front. ‘Jumping in, Diving for Toys from standing’ and bring the ring back to the side and ‘Backwards Roll Entry’ are great fun! We also try to get your child happy and confident to swim in the deep end of the pool. Throughout the next couple of levels we start to spend more time focusing on our 5 meters and start to challenge the little ones further. We continue to take care to ensure all skills build confidence, however encourage parents to give your little one opportunity to see what that can achieved unaided! 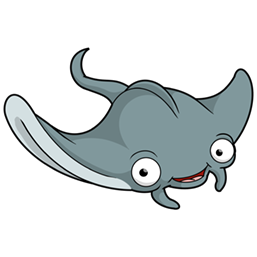 Hi my name is Morris the Manta Ray and I love to play. 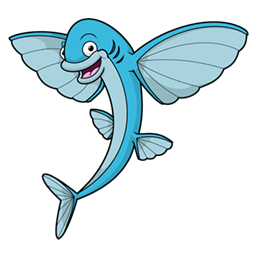 Although I am an excellent swimmer, I am a very relaxed fish so we are going to have lots of fun doing our gliding and resting skills. 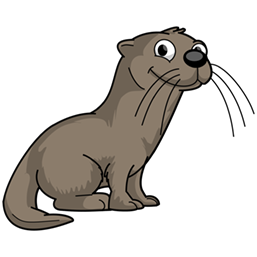 Otto said you did so well last term, so I can’t wait to see if you can glide and speed through the water like me! Your toddler should be very happy and confident in the water, wanting to spend more time under water than on top! We introduce the beginning of our distance attempts swim with SBS using less assistance and we see them getting that bit closer to achieving their 5 metres. Each skill is getting more demanding and often combined with other skills. The skill “Star float” (on back) and Push off wall through big Hoops require good co-ordination, and are great fun to do. This level becomes more fun and boisterous with ‘high in the sky, with a little drop’ and ‘diving for toys, under the bridge’. We still continue to promote and teach life saving skills such as Learning to climb up onto a unstable raft and swimming away from the parent back to the side. 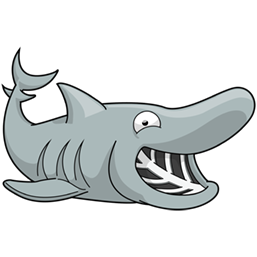 Hi my name’s Billy and I’m a Basking shark. Like my friend Barnaby, I am huge and known to be the second largest living fish. I like to glide though the water and we are going to have lots of fun this term doing skills to do this like butterfly legs with our Finns on! We are still going to have fun on self-rescue day in our pyjamas and see if we can swim even faster with more techniques and games to make you stronger swimmers! Like my friends I can’t fit in your pool but I will be relaxing at the side and will enjoying seeing all the fun you have to come this term. We have another fun filled term to come for your child with huge life saving value! On self-rescue day they will be in their pyjamas again while they learn to tread water for longer and jump in to collect a ring from the bottom of the pool. We will continual to develop your child’s swim stroke using alternate arm breathing techniques for front crawl and Finns to really accentuate butterfly legs. We have more relay races to come and a technique to show the children the correct way to complete a breaststroke race with a two-hand finish. Distance day is still included this term and your child may be given a longer period to swim as some can swim anywhere between 200 and 500 meters and in some cases even more! This is where you often see the extent of their stamina but don’t forget it can be thirsty work so bring a drink for them! 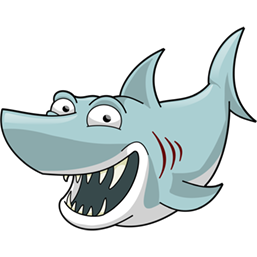 Hi my name Tina the Tiger Shark and I ‘ve come along to teach you as Barry said you did so well last term! Like my friends I am an excellent swimmer and going to show you more skills this term to help you win races and swim faster. Are you ready to do more some swim medleys and tumble turn from back crawl to breast stroke? You’ll have to swim fast to win a race with me so try your best and I’m sure we will have lots of fun! We have lots of new skills to try this term. The ‘catch up’ exercises are designed to get full stretch of the arms in both front and back crawl allowing for a more efficient pull in both strokes. Front crawl ‘on the side’ will allow your child to practice breathing to the side and strengthen the legs. 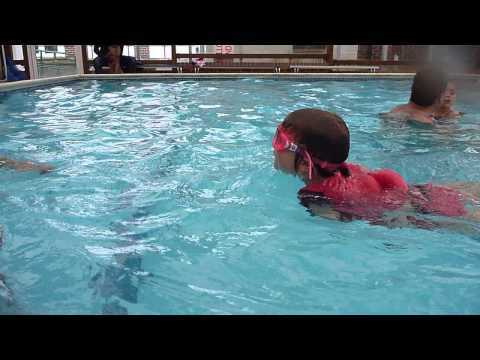 As well as continuing to develop your child’s strokes we have two new turns to try this term and snorkel races and scooter barrel rolls are bound to be a big hit with the adults and children alike during the snorkelling sessions. Enjoy and hope you have lots of fun! Hello! My name is Humphrey the Humpback whale and I have come along to swim with you this term as my friend Nelly said you did so well last term! I am a unique whale that loves to sing and leap out of the water so we are going to have lots of fun this term! As well as developing our stroke work to make us even better swimmers, we are going to try some new resting skills to keep us preserve our energy and keep us safe in the water! This term we will continue to develop our stroke work! To make Breast stroke more fun to practice we will be including a push and glide and swim through the parent’s legs as well as combining it with back crawl. We are going to also try some new floats and improve survival skills by treading water holding a ring as well as a new giant step entry. There will also be a photo day this term, which is a great opportunity to collect a memory of your swimming lessons! Like the toddler and baby levels it is £10 for up to 4 photos. 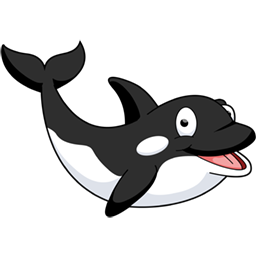 Hi my name is Olivia the Orca and I am one of the largest and most powerful dolphins in the world. My friend Humphrey told me how well you did last term so I am coming along to see if I can help you swim as well as me! We are going to become even better this term by swimming flatter and faster in the water not to mention the fun we are going to have doing ‘Big star’ prone floats and relay races with hoops and scooters. I will be watching you with my friends and can’t wait to see what you can do! During this term we will be working on increasing the streamlining position in front crawl and breast stroke by introducing a thumb entry into the water and bilateral breathing to keep your chin low in the water. During the self-rescue/survival session we will be showing your child how to deal with flooded goggles in the pool to avoid those little upsets and will also try a ‘Big Star’ prone float, which requires balance and teamwork. We will also be mixing up our floats by doing a Star Float, Mushroom Float then back to Star Float, which is great fun! Snorkelling sessions are still going to be great fun as we do relays on the scooters and snorkel ‘whale blow’ practice using hoops to dive through. We will still have our usual distance week where your child can use theses streamlined skills to hopefully swim a longer distance and gain a higher badge. 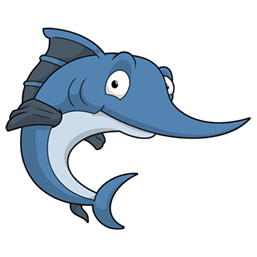 Hi my name Harry the Hammerhead Shark and I ‘ve come along to teach you some of my tricks to help you become an even better swimmer! Are you ready to glide through the water with our butterfly legs and underwater work? We are going to have lost of fun trying out our butterfly arms too and by the end of the term you may be able to swim as fast as me! This term we are going to continue to develop your child’s strokes refining their Front crawl and Breaststroke with the ‘Near perfect stroke’. The most exciting skill this term is the introduction of the ‘Butterfly “stroke! Now the children are older with more developed shoulders, we are going to have some fun learning ‘butterfly arms’ and ‘underwater work’, which combines their glide, and butterfly legs. Alongside this, we still have lots of fun to have with swim medleys, tumble turns, snorkel races and more self-rescue techniques. Have a great term and hope you have fun! Are you ready to put our Butterfly legs and arms together to complete the stroke? We are going to have lots of fun for this last current Aquatots term, making our stroke work as fast as possible and using your Finns to do butterfly legs so you may almost feel like you have a real Finn like me! Enjoy and have fun!! We are going to have lots of fun this term putting our butterfly legs and arms together to try to achieve the full stroke! We will continue to use our legs to practice our ‘underwater work’ to start off that butterfly stroke with an efficient glide. As well as that, we are going to try the Butterfly stroke with our Finns on which enables your child to swim faster and more streamlined through the water. We have more techniques to show you like ‘finger drag’ which enables the children to achieve a faster, more efficient Front crawl stroke, as well as the usual self rescue, snorkeling and distance day. By this level the strokes often resemble the ‘near perfect stroke’ we have been working towards! This is the currently the last Aquatots level and we hope you have enjoyed seeing your child develop into the great swimmer as much as we have. Due to popular demand we are working on more levels so watch this space! In the meantime enjoy and have a fantastic term. 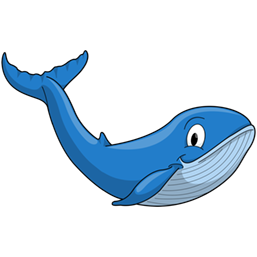 Hello I’m Barnaby the Blue Whale and I am the largest creature to have ever lived on earth! We are going to have so much fun this term doing different skills to make you a stronger swimmer as me. The most exciting thing is swimming in your pyjamas which we will do on rescue day, which is the best thing ever! Due to my huge size I will have to watch you from the side of the pool but I can’t wait to see you dive deep in the water and become as strong as me! This term we ask you to bring pyjamas for the children on self rescue day 3 to practice jumping in and swimming with clothes on, which is not only a huge hit with the kids but a a life saving and stamina building skill. As well as the confidence building exercises on self-rescue day, we will also be doing several skills to help the children swim faster in the water. We will particularly develop breast stroke by teaching a one arm sweep in the children glide, as well as encouraged the children to swim in a more repetitive and rhythmic manner with our pull, breathe, kick and glide. At the end of Level 21, we aim for everyone to swim 100 metres with some doing 200 or even 300 metres but remember try not to push them too hard as they all develop at different speeds! We also have lots of exciting exercises in the snorkeling sessions including Scooter relay races, clearing snorkels and scooter tows. 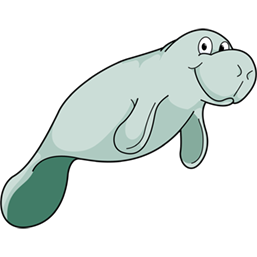 Hi my name is Manny the Manatee and I am a very friendly Giant. I may not be as fast as some of my friends but I am still an excellent swimmer so will have lots to show you this term! Are you ready to have fun with our underwater scooters on snorkelling day? As well as that we are going to start diving into the pool and trying to use “Butterfly legs” to help us shoot through the water! In this level we will be developing stronger stroke work! We introduce breast stroke legs and encourage your child to try Butterfly legs and by the end of term, they should be able to swim 10, 15 or 25 metres! The introduction of Scooters to the pool on snorkeling day is so much fun and is a great way to thank your child for working so hard during the term on their stroke work. We introduce diving and start with our sitting dives into the deep end and have lots of fun on self rescue day where we use an ‘extended arms’ to rescue each other from the pool! 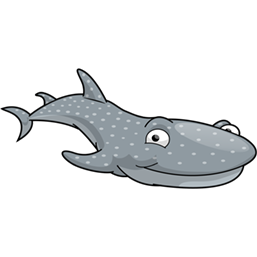 Hi I’m Wilbur the whale shark. 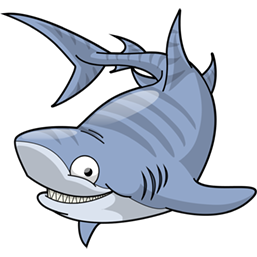 Like my friend Billy, I am known as one of the largest sharks and am a very friendly fish! My friends have been telling me how well you have been doing and I’m really looking forward to introducing more fun activities like tumbleturns and snorkel sialom. Don’t forget your pyjamas again this term as we have more fun to come on self-rescue day as well as some float skills to help you relax in the water just like me! The children are going to have great fun this term! As their stroke work has developed we will be trying tumbleturns for the first time, which involves a somersault and glide instead of stopping in a distance. They are great fun to do and make us so much faster when we do a race of more than one width. Photos are available this term on day 7, which is a great opportunity for another memory! Don’t forget the pyjamas on self-rescue day again as we are going to try some fun floats wearing them and as well as more stamina building skills like diving through hoops and swimming to the side. Hi I’m Bradley and I’m a whale shark! Like my friends that have taught you previously, I am an excellent swimmer that can not only swim fast but also dive high out of the water. Are you ready to swim faster this term with more races and tumble turns? We are going to have so much fun learning different skills to make us faster stronger and even better swimmers! This term races with tumble turns both with front and back crawl are going to be exciting for the parents and great fun for the kids! On rescue day children are going to continue to build stamina with the use of swimming in our pyjamas, diving through hoops and timed treading water competitions. We will also emphasis the importance of safety and preserving energy by resting in a star float in-between swim. On Distance day children may continue to need a longer time length in the pool and may be completely anything up to 1000 meters and possibly even more. You and you child should be very proud-don’t forget to order your distance badge and certificate form the webshop to mark their achievement! 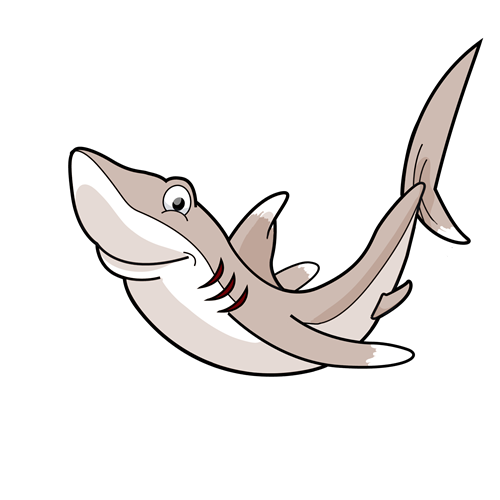 Hi my name is Maddy and I’m a Makos shark and I ‘ve come along to have some fun with you this term! I hear my friends have taught you to swim well? 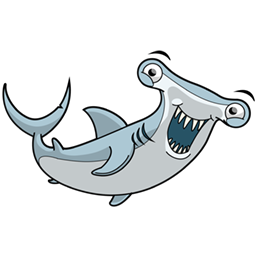 Well you are in luck as I am known as the fastest shark in the sea so you will have to become even quicker to catch me! Are you ready to swim a ‘near perfect stroke’ and a giant strike with finns on! I am and can’t wait so see you soon! This term we are setting our standards even higher than we have before. The children will be attempting ‘near perfect stroke’ across the width of the pool in front crawl, back stroke and breaststroke. Of course the strokes are often not ‘perfect’ but the shorter distance swum allow your child to concentrate better on his/her stroke with your teacher giving them credit for what they have got right and feedback on the specific areas of their strokes that require further improvement. It is amazing to see how refined their stroke work has become! We will also be introducing the concept of the individual medley this term with all three strokes swum one after the other as well as a ‘giant entry with finns’ and some more fun scooter skills! BABY (7 levels)Level 1 to 7. From approx. 0 to 2 years old. TODDLER (7 levels)Level 8 to 14. From approx. 2 to 3 years old. 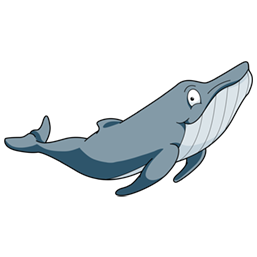 DOLPHIN & WHALE SWIM SCHOOL (7 levels)Level 15 to 21. From approx. 3 to 5 years old. 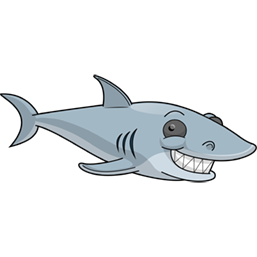 SHARKS SWIM SCHOOL (8 levels)Level 22 to 29. From approx 5 to 8 years old.